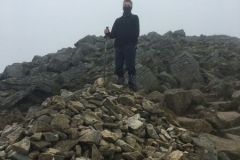 Home » Category "Fund Raising"
We just wanted to say a very big thank you to the people who sponsored us for our 3 Peaks Walk. Thanks to everyone’s generosity we have raised an incredible £840 so far. 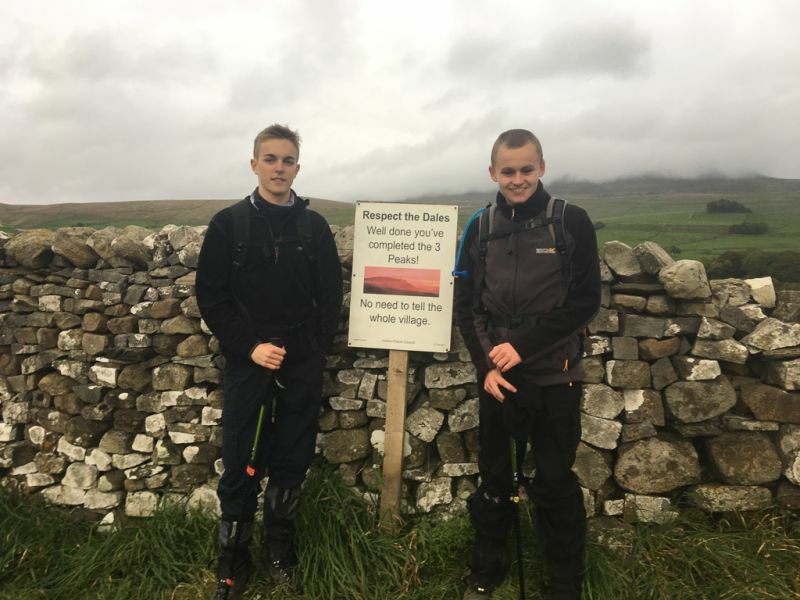 On the 1st October, Barney Addenbrook and I (Sam Gurney) walked the Yorkshire Three Peaks; Pen-Y-Ghent, Whernside, and Ingleborough. A total of 24.5 miles. It took us 11 hours and while it was a tough day it was well worth it to raise money to support the centre and help improve the children’s lives. We are going to use the money, when we travel to Uganda at the end of October, to provide a play area for The Revival Centre so that the children will have somewhere safe to play. 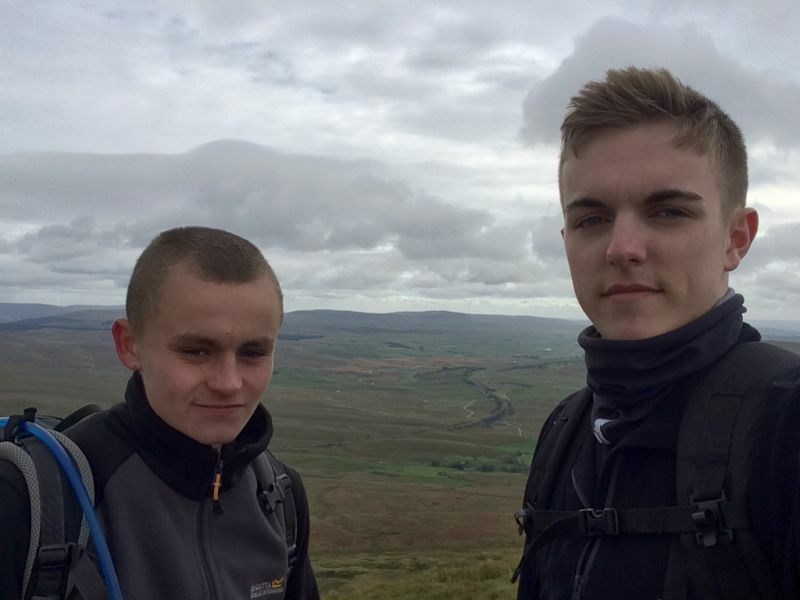 Head over to https://mydonate.bt.com/fundraisers/samandjosh to place your donation. You can give a cash donation to either of us in person, which we will then upload to the site on your behalf. It was looking like it was going to be a beautiful day as we set out from Horton in Ribblesdale at 6:45am! The sun wasn’t up yet and the sky was clear. The thermometer on the car was reading 2 degrees celsius. 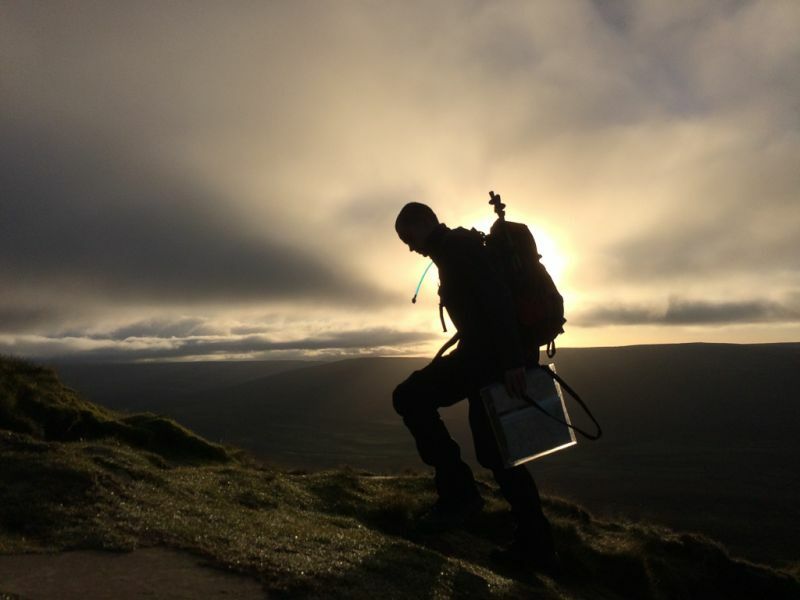 However as we climbed Pen-Y-Ghent the sun rose and by the time we reached the summit (695m) at around 8am the sun was up and it was starting to warm up. 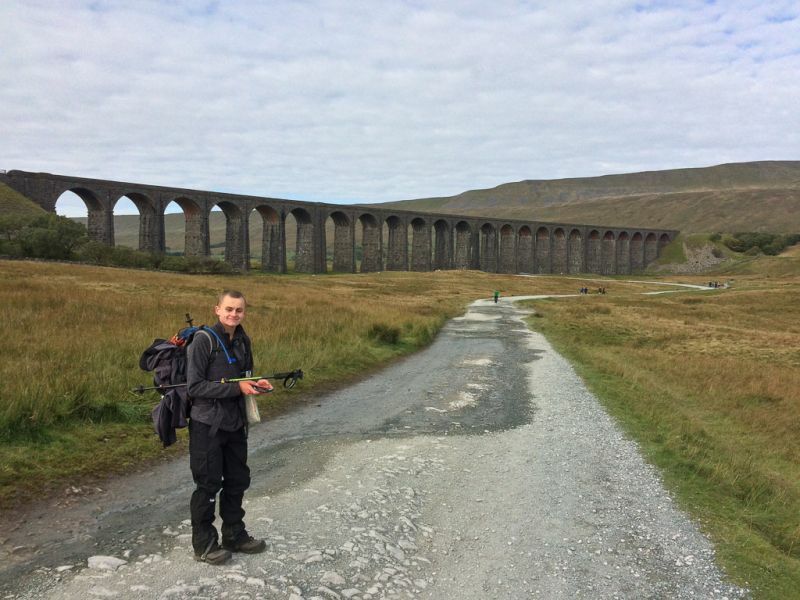 Heading for Whernside – The Ribblehead Viaduct on the Settle – Carlisle Railway – an awesome feat of Victorian engineering. Then came the descent and the long walk through Ribblehead, alongside the famous Ribblehead Viaduct and across the valley towards the ascent of Whernside. We summited Whernside (736m) at around 2pm in glorious sunshine. Whernside has a long and steep descent which proved quite draining but we were not yet finished. 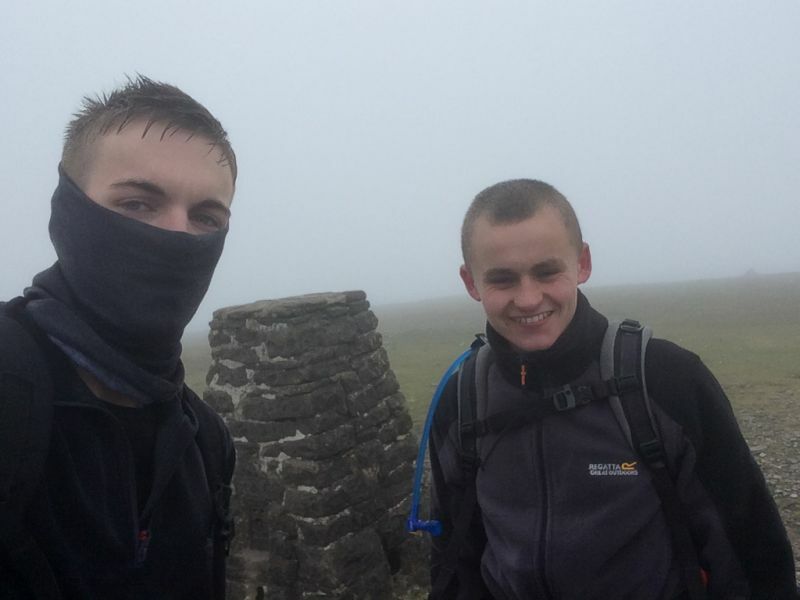 Next, the final ascent up Ingleborough, started at around 3pm, reaching the summit(723m) at around 4pm. 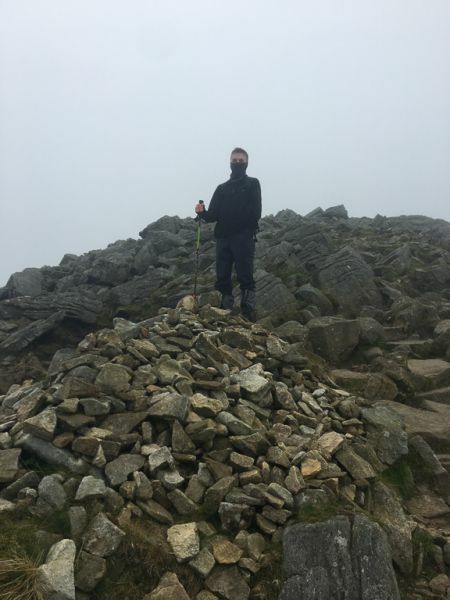 The sunshine had now been obscured by a mist which shrouded the top and we had to spend 10 minutes wandering around the top searching for the trig point which marked the summit. 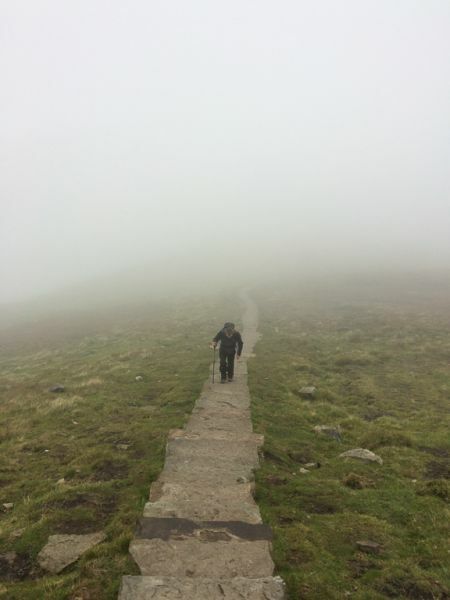 Just when we felt elated that we had completed the 3 Peaks we had to contend with a 2hr descent over steep, rough ground, back to our starting point. Finished! To the Pub for a well earned pint. Not too far off, a date for your diaries. Hope to see you there! 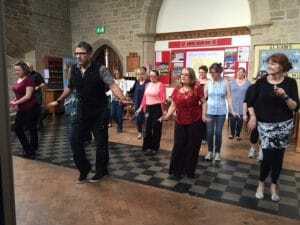 Sharon Crosby will be hosting a Day of Dance on Saturday 27th April 2019 in aid of The Revival Centre in Matugga. Workshops will start and finish promptly. Bring water to drink during the workshops. Crafts/refreshments etc will be available throughout day! 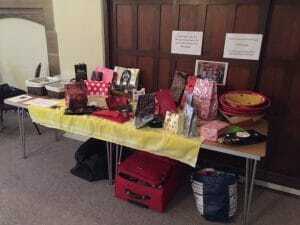 Lucky dip stall and crafts from Matugga. 2) Book using the form here If using this booking form you will automatically be taken to https://mydonate.bt.com/fundraisers/dayofdance to pay. If you would prefer, you can book online but still pay by cheque using the address above. There will be a sitting area in the lounge for tea/coffee etc and refreshments will be available all day! When booking, please include your name/details and say which workshop/s you want attend. Details of the workshops, timings and what to bring are detailed below. (Tina Jackson, of Dancers Bizzare, teaches a range of Gypsy styles) No partner needed. Bring a long skirt, to swish, soft shoes and comfy clothes. Easy to follow and fun veil dance to a Celtic piece, Sound the Trumpet. Wear soft shoes and comfy clothes. 12.00-12.30. Tea/coffee/sandwiches and cakes available. Chriso teaches in Burnley, Lancs. Come and try out this fun and enjoyable style. Wear comfy shoes or boots and clothes. Cowboy hats optional! Come and dance your socks off to fabulous Cuban tunes! Esref of Paranda teaches mainly in South Yorkshire. and retreats and is based near York. Bring a mat or a blanket.